ARK: Survival Evolved features nearly two hundred various creatures roaming the beautiful ARK island. Ranging from dinosaurs of all sizes to aquatic lifeforms, there are plenty of animals to fill a travel journal of every newcomer to the ARK.Most creatures can be tamed and used as beast of burden or the best mounts imaginable. Tame T-Rexes, mammoths, and many more and be the beastmaster of your tribe. Assaulting other player bases will never be cooler than a rampage on a titanosaurus. ARK: Survival Evolved gameplay includes detailed progression based on RPG mechanics. Gather experience by performing various activities and level up. Each level gives you Engram points to spend on crafting recipes that stay with you forever for easier comeback when you inevitably die.In addition to Engram points, every level up also gives you a chance to increase one of your stats, to be faster, stronger, healthier and craftier. ARK: Survival Evolved has a robust crafting system allowing you to turn a banishment to a hostile island into a story of success worthy of true survivors. Craft weapons to eventually wield guns, craft armor for yourself and your mounts. Explore the world to find recipes for powerful items which will vastly improve your odds of surviving. Team up with other survivors to create secure compounds out of rare and hard to craft materials. Surviving on your own is not easy, and it isn't safe, either. Team up with other players to form tribes. Tribes can share a base and tamed animals, support other members with their crafting goals, or even protect each other’s avatars, when the players log out of the game. Establish rules to determine how your Tribe is governed in a robust system provided in-game even before more detailed player agreements. Wage wars against other tribes to claim their bases and resource. Or just to spite them. ARK: Survival Evolved is an open-world multiplayer survival RPG with dinosaurs to tame and plenty of items to craft. Uncover the mystery of the island and the purpose of mysterious obelisks visible above the horizon. Hunt, craft and tame prehistoric beasts - purchase ARK: Survival Evolved today and do what you must to survive being stranded on a vast, mysterious island! 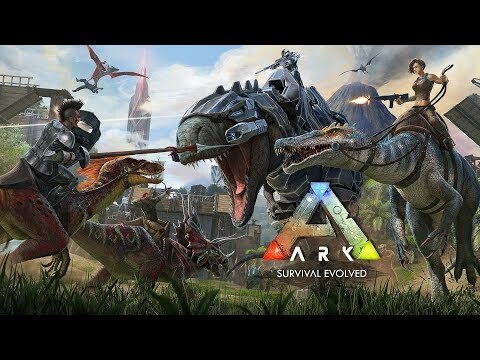 Buy ARK: Survival Evolved Steam Key GLOBAL for 91,137.28 DXC?